I’ve used this blog post from economist Bryan Caplan several times to explain Bayesian thinking to people – basically the idea that we should derive our opinions from the sum of information about a topic rather than selected data points (likely chosen because they support our presupposed biases). I recently posted a review of the Business Insider website and pointed out one of the things I enjoy so much are their interest grabbing headlines. Due to the ongoing negotiations on the budget and debt ceiling, and subsequent government shutdown, President Obama asked me to represent him at the APEC Indonesia 2013 meeting. This time Business Insider picked up the coverage. Since I was not a head of state they put me in the back-right row. This is a good article which explains some problems with the Affordable Care Act (aka Obamacare) for young people. Ned continues to campaign against the market distorting mandates included in the Affordable Care Act. The first usage of the term “surfing the Internet” was around 1992, and as one who was surfing around that time I can tell you that the idea that you could surf from page to page with interesting content was a great idea, but in practice rarely happened. Instead, it was more like constant clicking on hyperlinks trying to find anything worth reading. 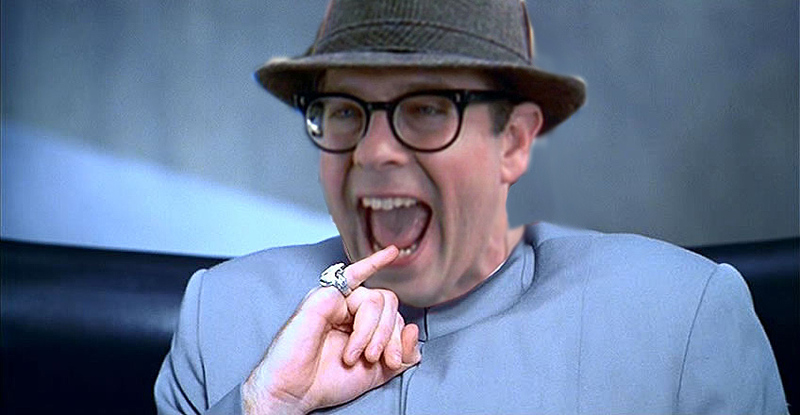 In surfing parlance I guess you could say the Internet was just a bunch of close outs. Wikipedia was a step toward the surfing vision, where at least the content was reasonably good and the hyperlinks had a good chance of being interesting, but I was still in search of the perfect wave. The wave has arrived, and it’s called Business Insider. The headlines and format are perfectly designed to grab your attention and break down the article content into a specified number of points (“25 hidden gem real estate markets”, “the highest paid player on all 32 teams”), with a picture for each point. Then, at the end of the article, a link to another article, with another catchy headline, that you’re almost guaranteed to like (because they use all the page view data to figure out interest graphs of other people like you). In find myself clicking, and reading, and clicking, and reading and it just seems like the interesting content never ends. Business Insider is the Banzai Pipeline, with a tube that covers you up completely and never breaks. It took about 20 years, but the Internet surfing dream has finally been realized. As part of my campaign travels I regularly fly on Delta Airlines, and have achieved “Medallion” status in the past. A few years ago they implemented “roll over miles” which would allow you to roll over the excess miles (over a given Medallion level) towards the next year’s status. Today they rolled out a new policy called “Medallion Qualification Dollars” (MQDs) that require you to not only meet a mileage threshold but a dollar expenditure threshold to achieve elite status. Of course the MQDs cannot be rolled over, and are calculated such that they are effectively eliminating the effect of roll over miles while simultaneously eliminating frequent fliers who travel on the lowest fares. Talk about killing two birds with one stone! While this probably means yours truly will spend even more time sitting in coach, from an economic perspective it makes sense to just move the whole program onto a dollar spent basis. However that will probably not sit well with the masses who make a hobby out of frequent flier mileage arbitrage. 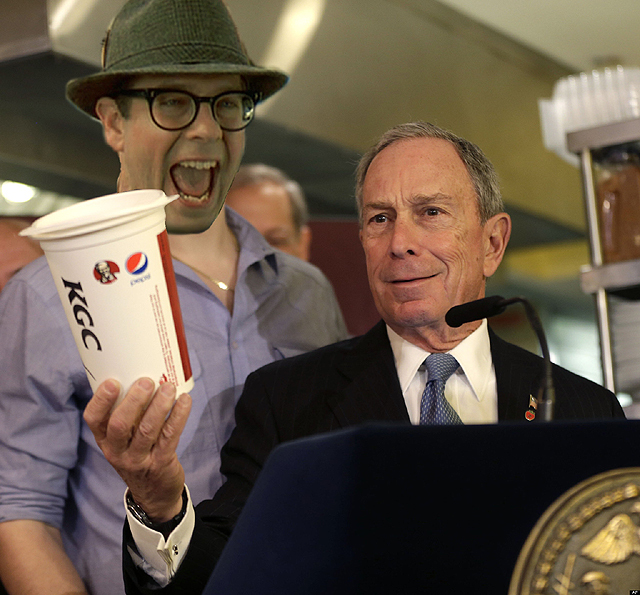 I managed to make Drudge Report again, this time when I was standing behind Mayor Bloomberg as he posed with one of the soda cups he would like to ban in order to save poor people from themselves. While I am opposed to the ban as excessive government interference, I did appreciate the photo op.